I am using the opportunity of me taking part in a Massive Open Online Course (MOOC) on mobile learning as an excuse to add some more content to this neglected blog. Since I have always been a fan of RSS (hat tip to Dave Winer) my answer to this dilemma is to create an aggregated RSS feed from a number of sources (including the Google Group responsible for the bulk of the traffic). And so far the best tool I found for this purpose is Yahoo Pipes. To create a Pipe log into http://pipes.yahoo.com/ (if you don’t have a YahooID you need to create one first). 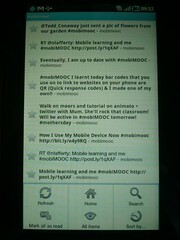 All you need to complete your “mobile learning journey” is to subscribe to the resulting feed (http://pipes.yahoo.com/leogaggl/mobimooc) with your favourite (mobile) RSS Reader. I personally use GoogleReader which has worked for me on various devices. It has worked well for me on Nokia S60’s, Windows Mobile, iPhone and more recently on Android. 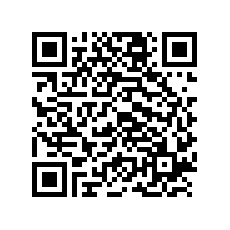 To download for Android you can just scan the QR Code below or just visit http://m.google.com/reader from any phone. Since the feed sources are fairly simple I am happy for any comments on other sources to add to this feed.